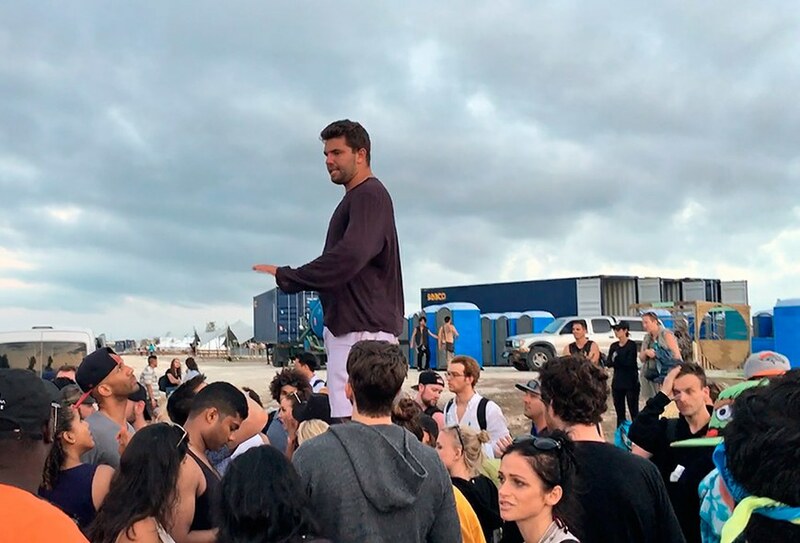 Fyre Festival was promised by founder, Billy McFarland, to be the greatest party ever. The over-his-head CEO marketed this music festival as the experience of a lifetime. The only promo video made featured supermodels, booze, and crystal blue water. This, along with Kylie Jenner’s endorsement, is enough to have rich millennials empty their pockets of thousands of dollars. In 2016, McFarland and his marketing team paid over 250 influencers, athletes, and models to post an orange tile on Instagram at the same time. The only thing that was connected to this orange tile was a link to a promo video for the Fyre Festival. The video viewers could then buy festival tickets, villas, and luxury yacht experiences on the private island. The private island that they advertised as once being owned by Pablo Escobar. It soon hit everyone behind the operation that there was no possible way they could pull off something to the magnitude which McFarland was promising. Everyone except for McFarland. When the budget got tight he would sell more resorts or add-ons that simply did not exist. He would mysteriously come back with loads of money from investors. Later found out, McFarland was lying about what the company was making and how they were doing. He proved himself to be quite the con-artist. He is currently serving six years in prison and faces many financial burdens. Last week, two documentaries got released about McFarland, the planning, and the failure of the festival. It followed McFarland and crew, which featured rapper Ja Rule. Ja Rule is with McFarland from the beginning of the doc when they launched the idea, however, he took little to no responsibility for what went wrong. Shortly after the release of the documentaries he tweeted, “the docs clearly have Billy at fault but lets blame the rapper lmao ok…”. He still claims he has nothing to do with the failure of it but apologized on Instagram. He showed remorse for a local of the island who did not recieve payment for all the services she provided to McFarland and his team. Did McFarland have good intentions all along or is he one of the best con-artists of this generation?